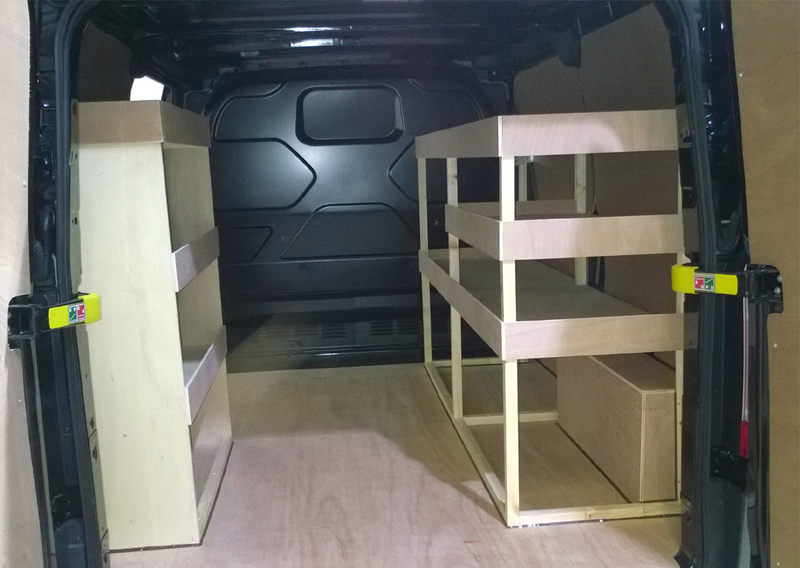 We supply and fit standard ply lining kits, or we can work with you to design an interior that matches your personal specification. 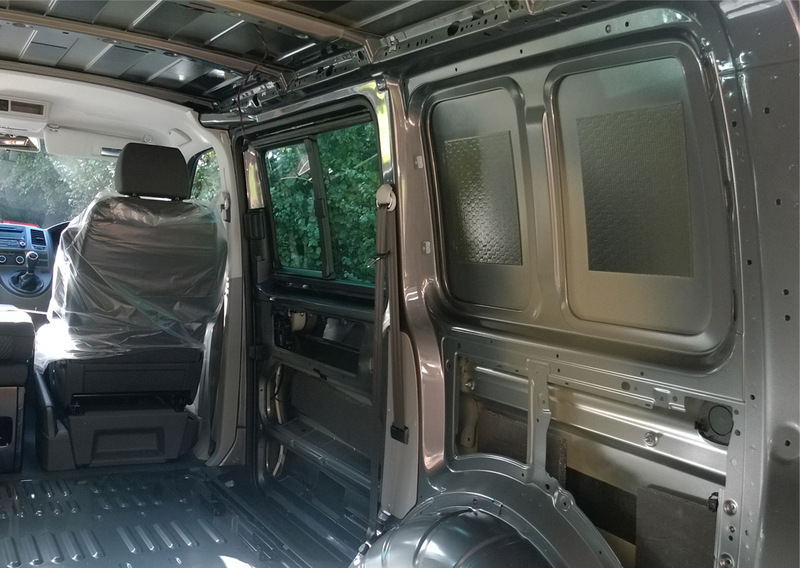 Security of your vehicle is paramount, so we supply and fit specialist dead locks and slam locks givig you peace of mind and convenience when your vehicle is left unattended. 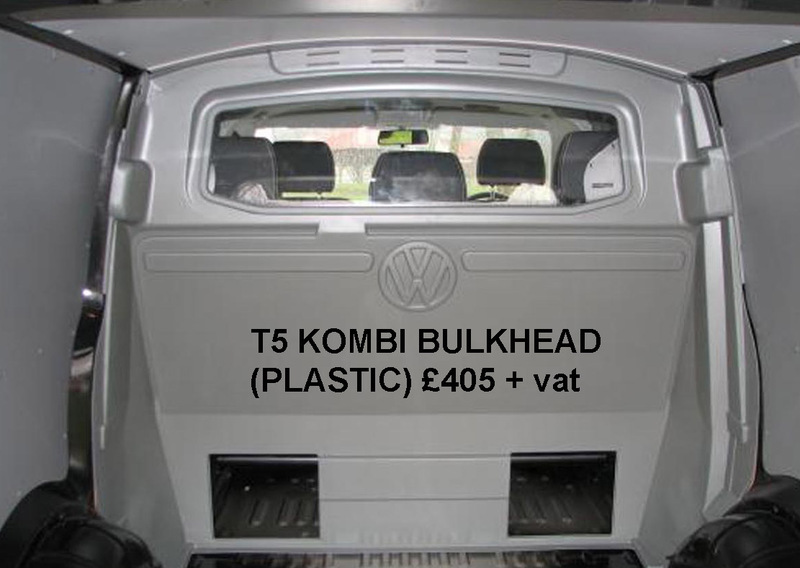 If you need a towbar, we know how to fit to Volkswagen standards and comply with essential wiring requirements of the VW engine management systems. 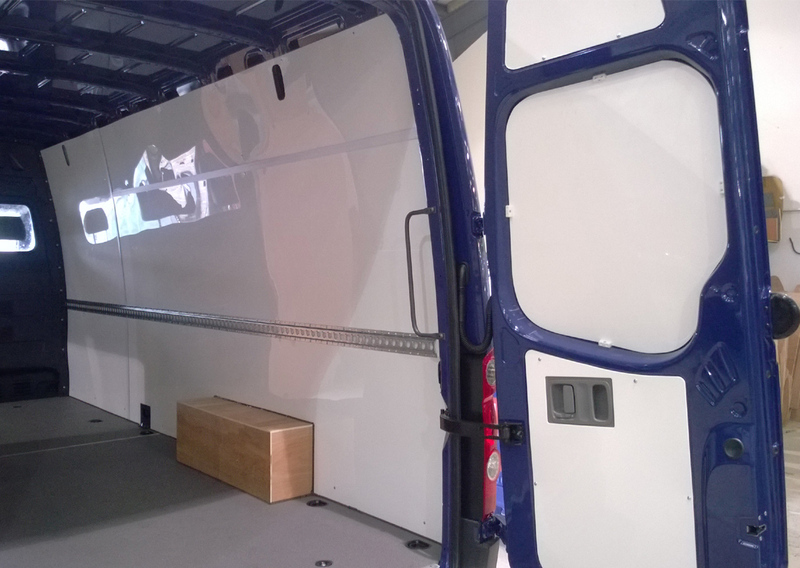 'Dedicated' Communicate with the vehicle engine management unit (ECU). 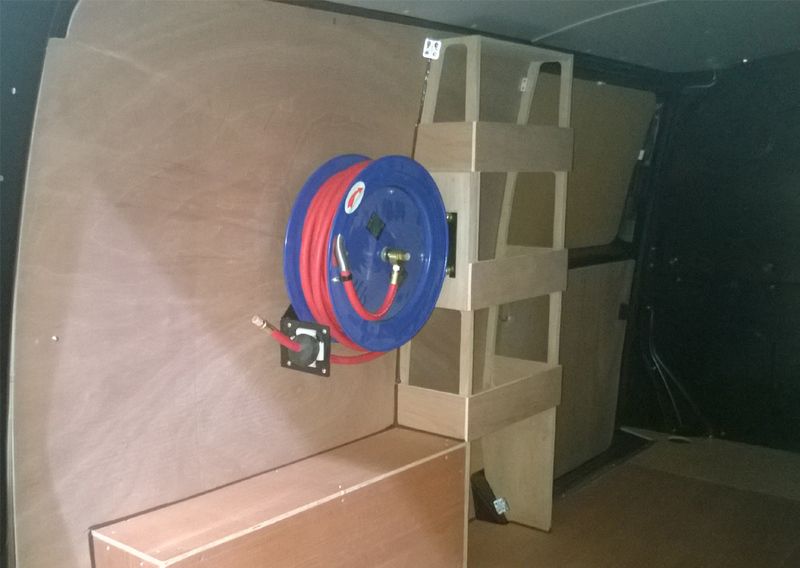 'By-Pass' Wired in the original way using a by-pass unit. 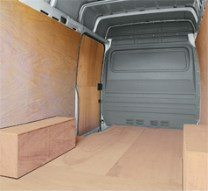 will not communicate with the vehicles ECU . 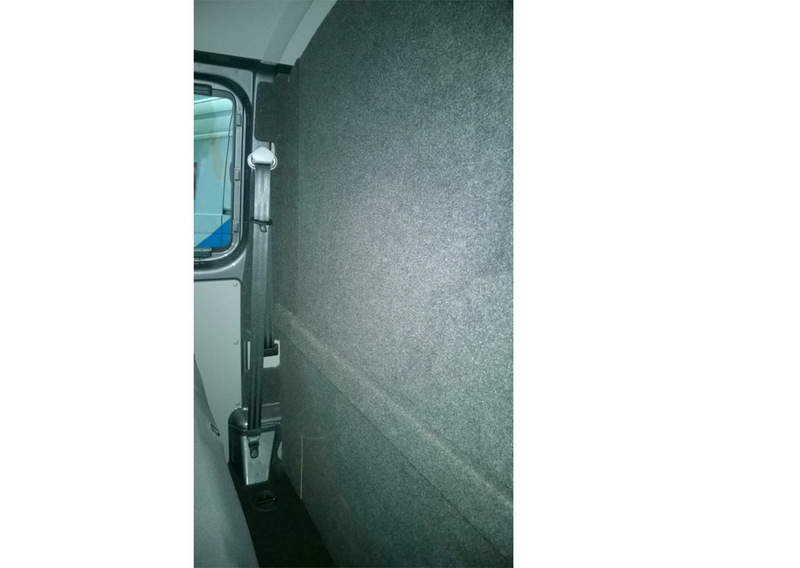 13 Pin electrics: By Pass + £25 Dedicated + £35. 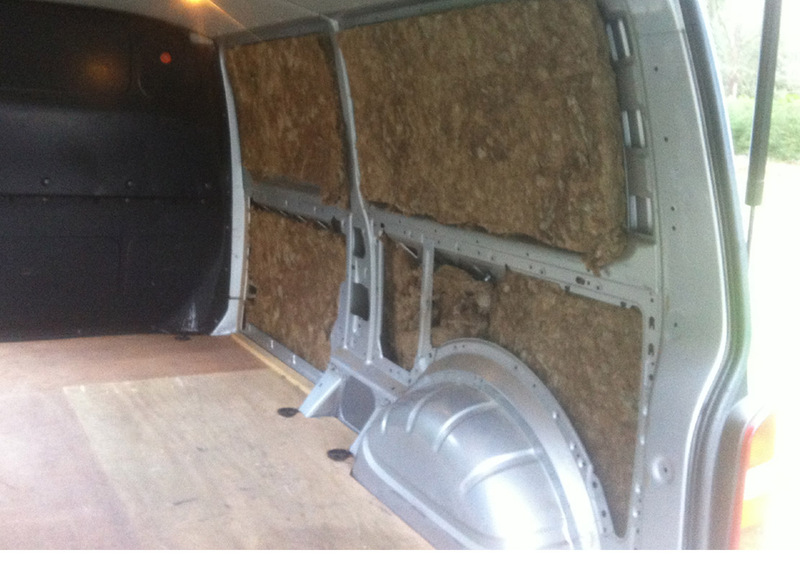 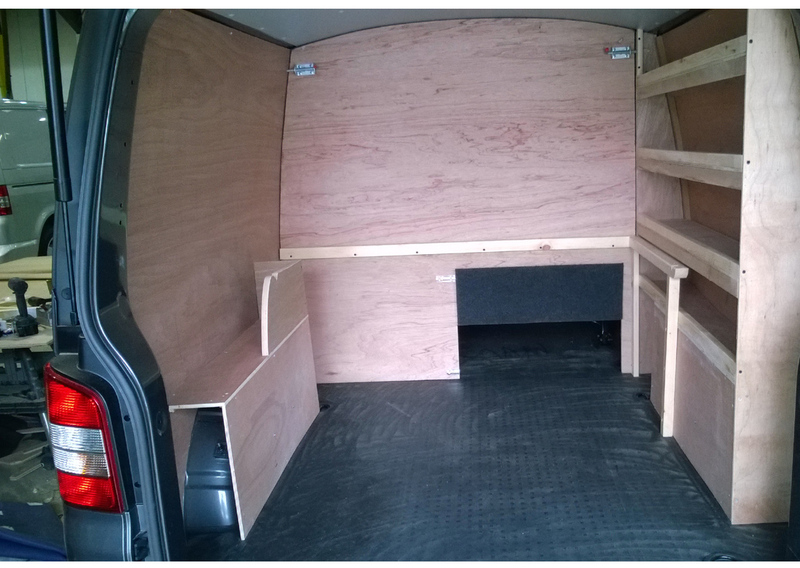 T5 Kombi stripped ready for insulation & carpeted ply panels. 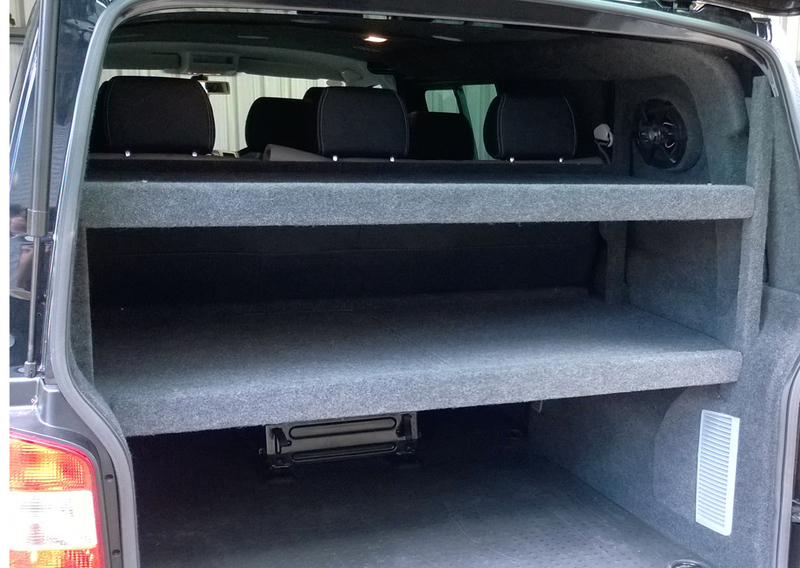 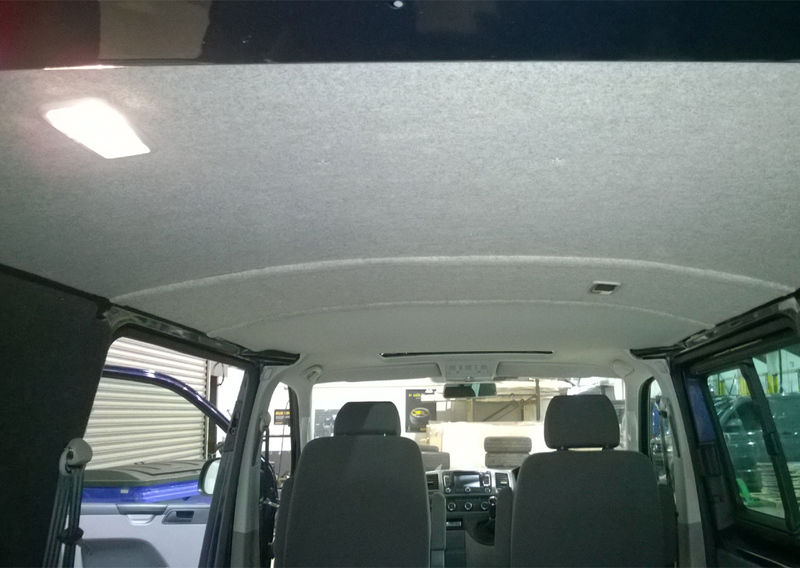 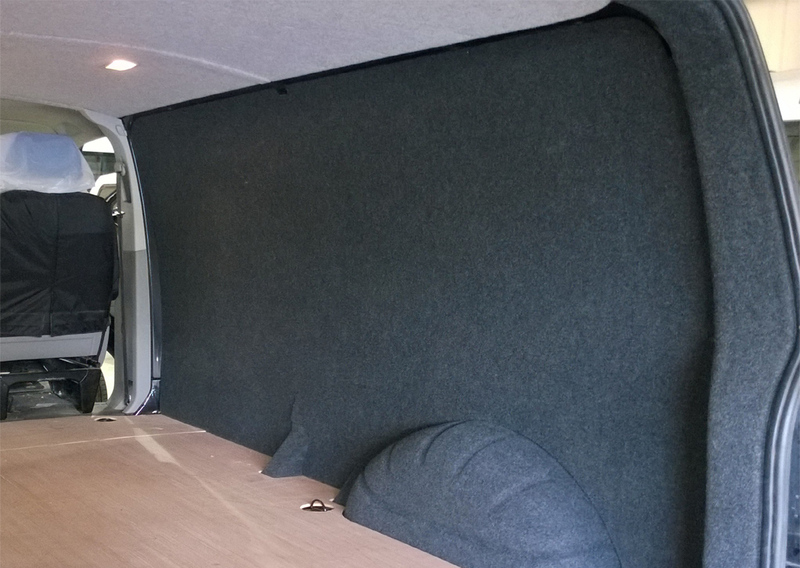 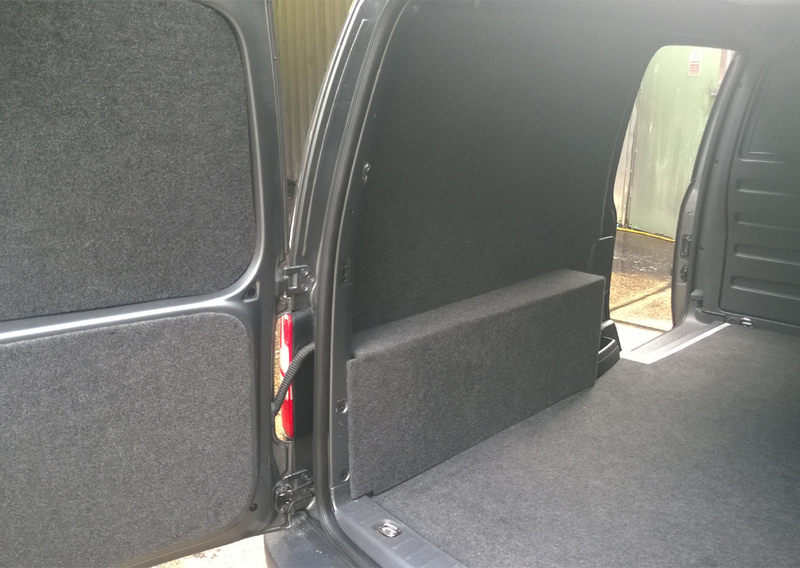 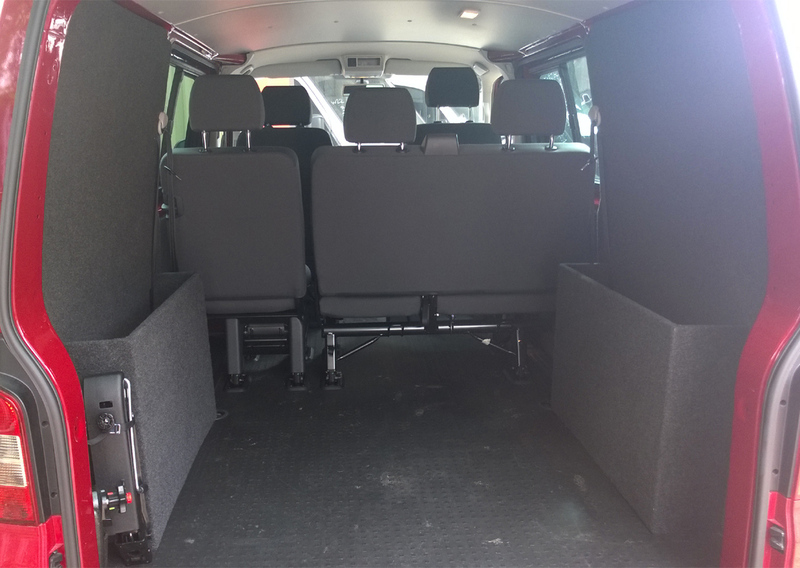 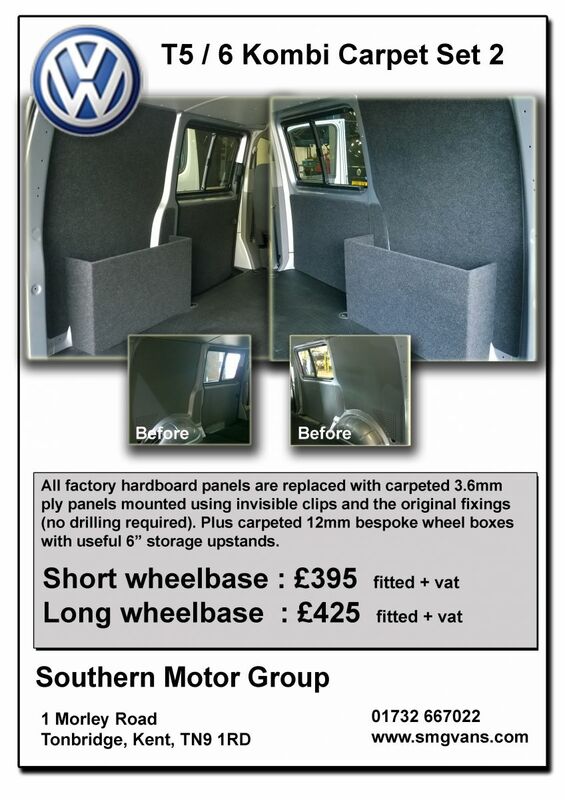 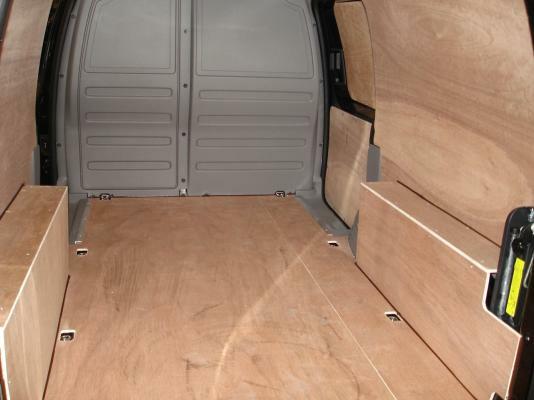 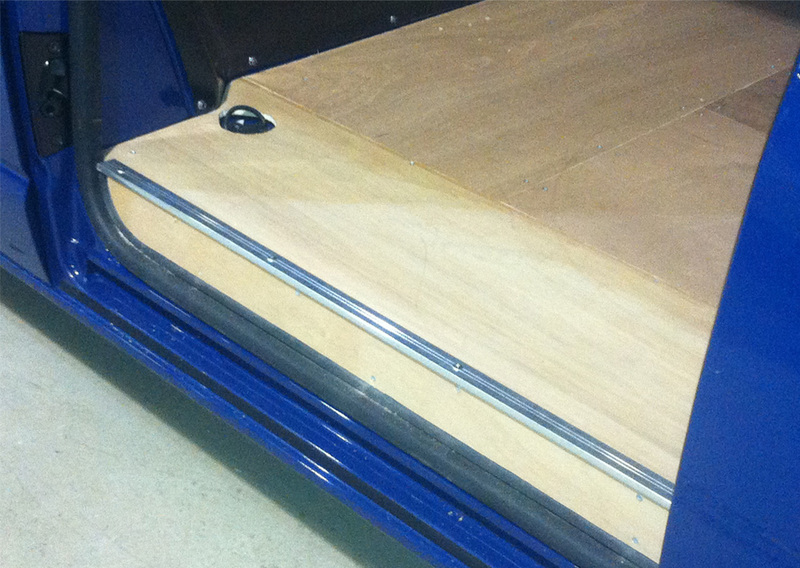 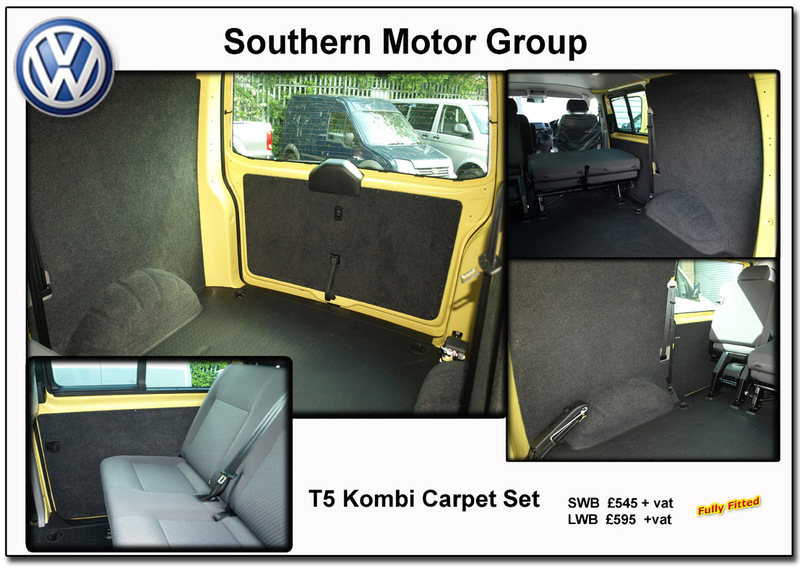 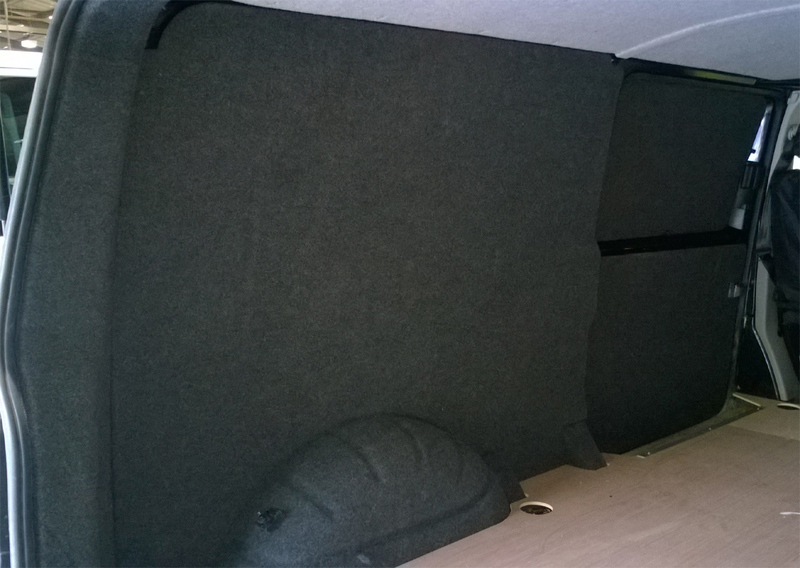 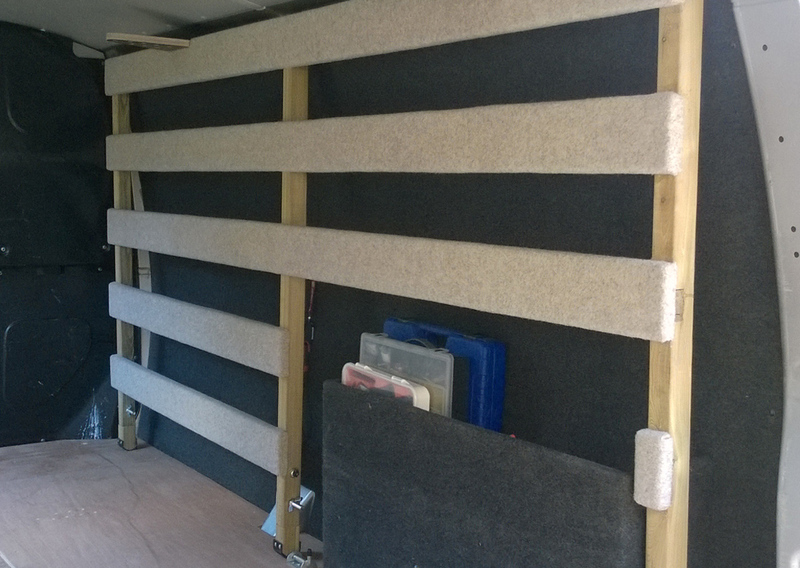 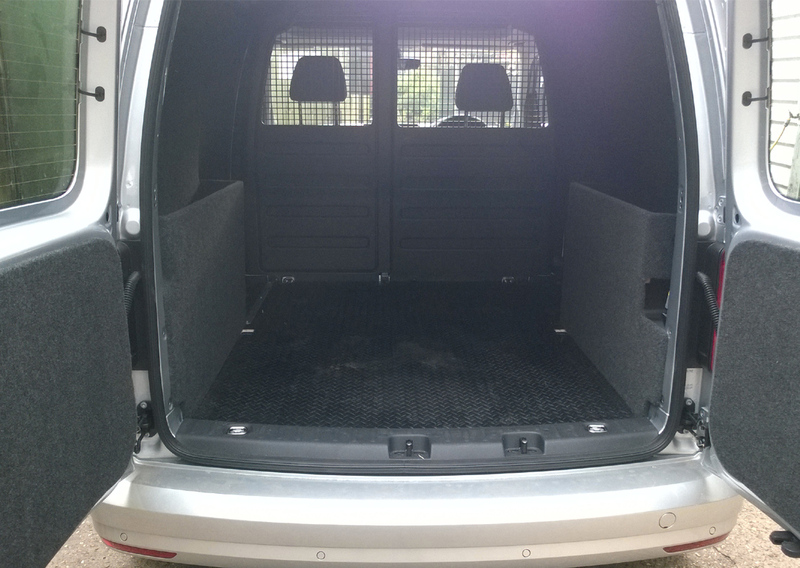 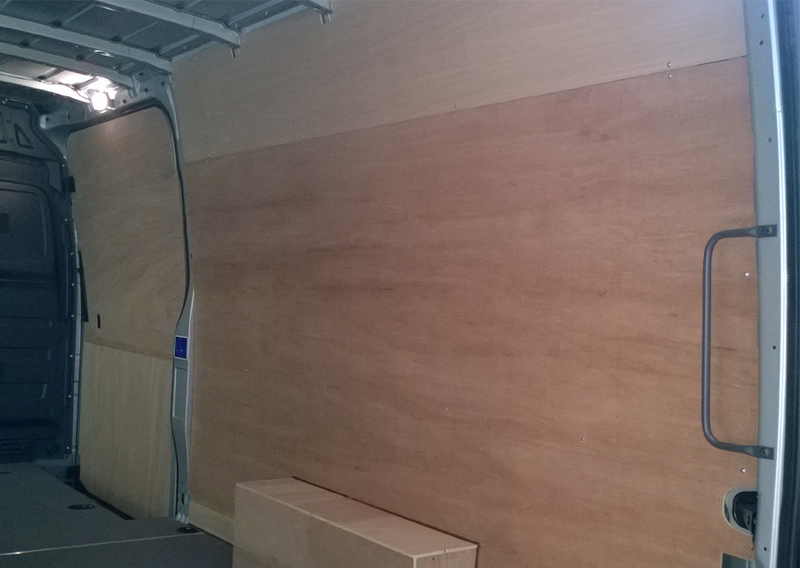 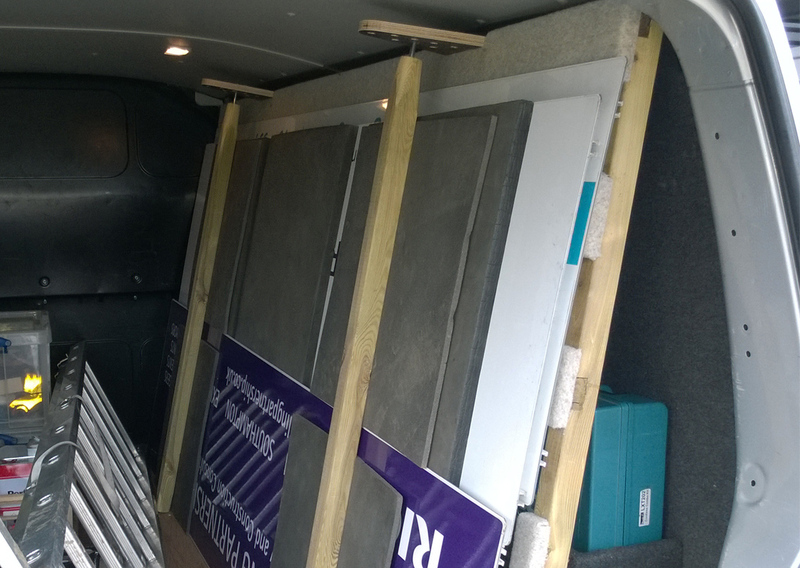 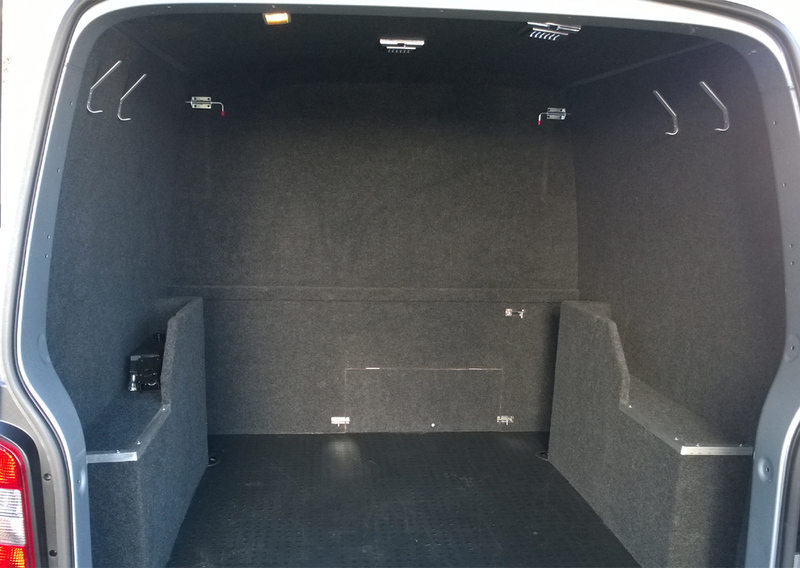 T5 Kombi Carpet sets £545 swb £595 lwb + vat Fitted price includes new ply panels to sides, side doors, tailgate . 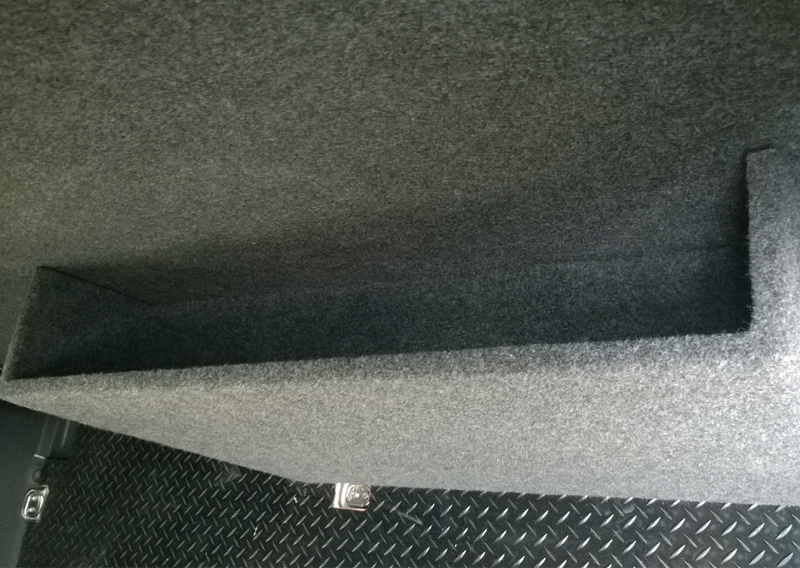 T5 folding bulkhead including long load flap, carpeted both sides. 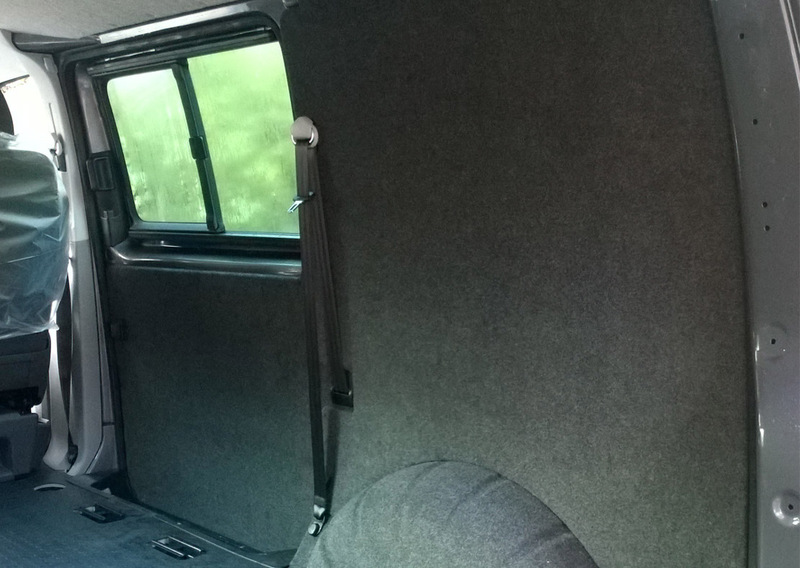 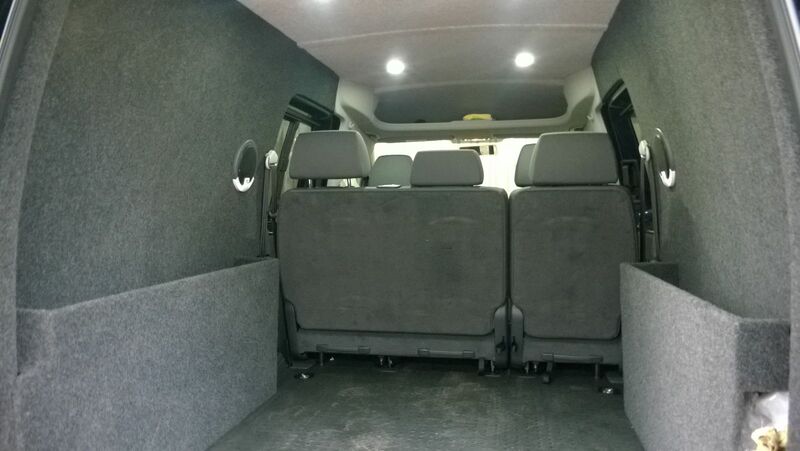 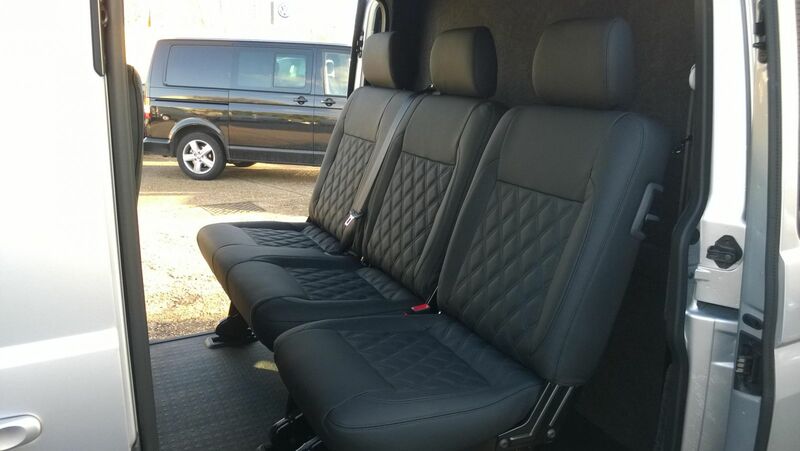 T5 Kombi quilted leather seats £POA Carpeted folding bulkhead behind. 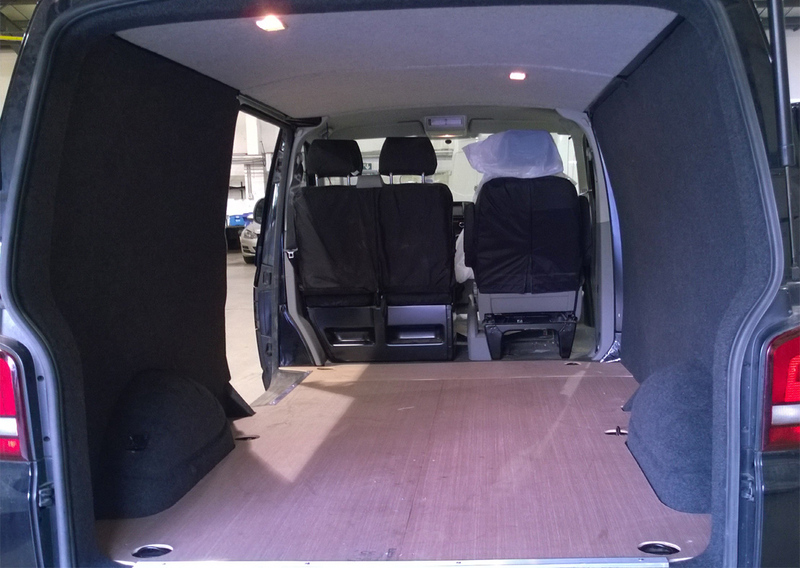 Fold away adjustable internal frail used for carrying 8' x 4' panels etc on edge leaving vital floor space. 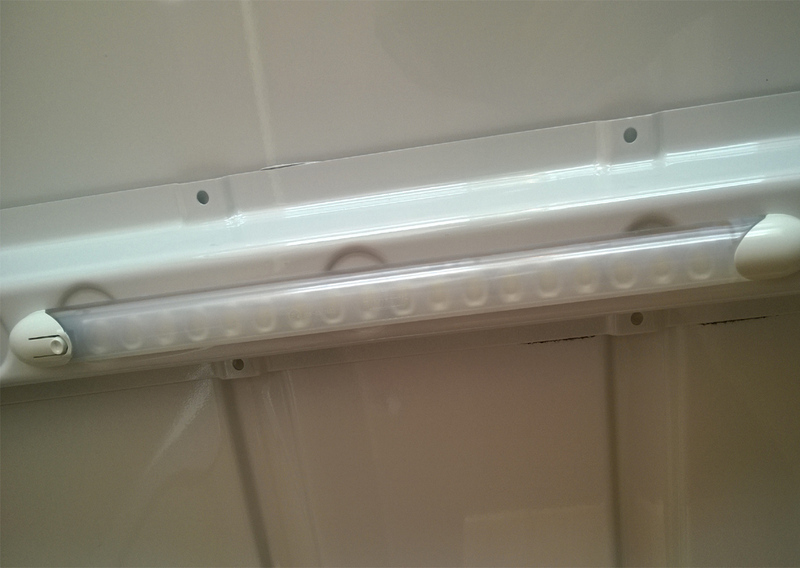 LED Strip lighting. 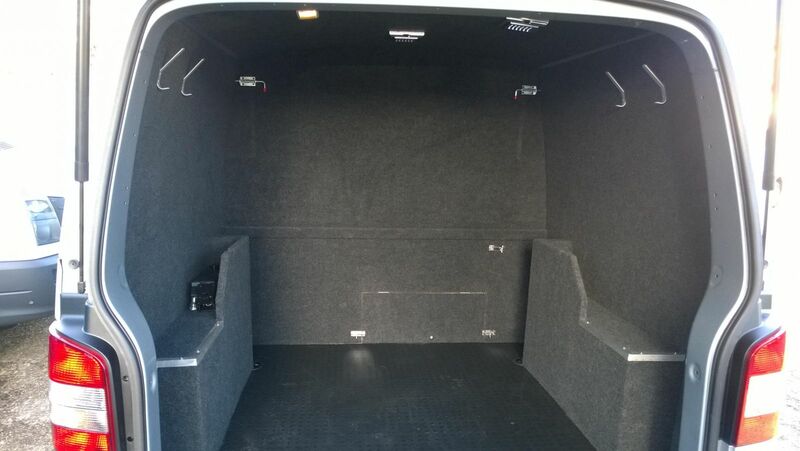 Powered direct from battery or leisure battery . 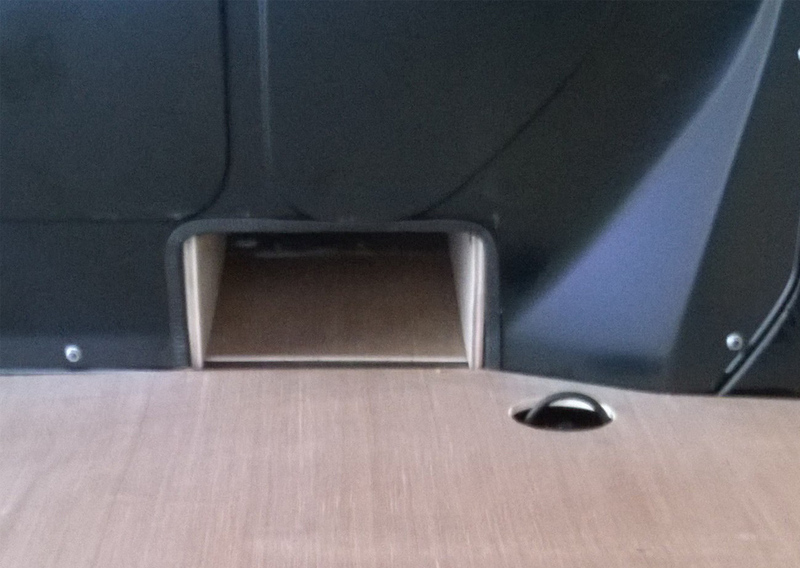 Can be switched independently or one main switch. 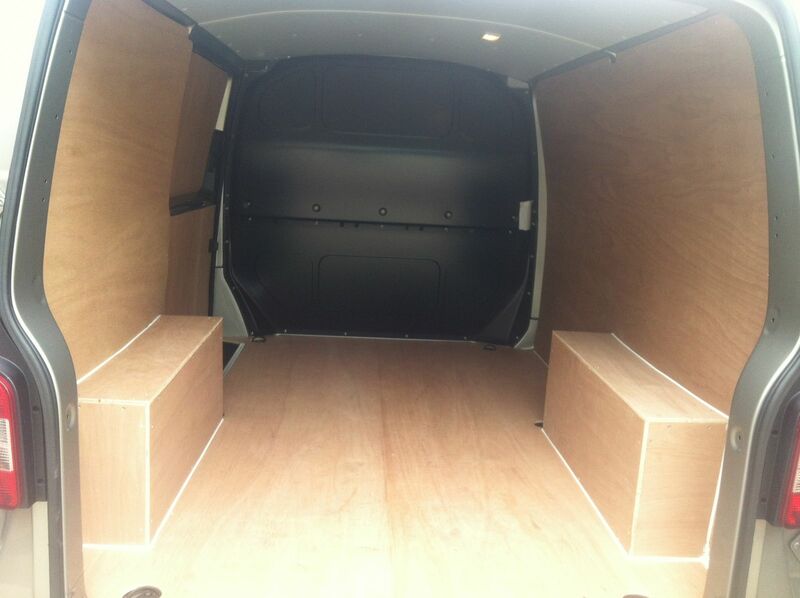 Price : £125 + vat fitted + £39 each for more. 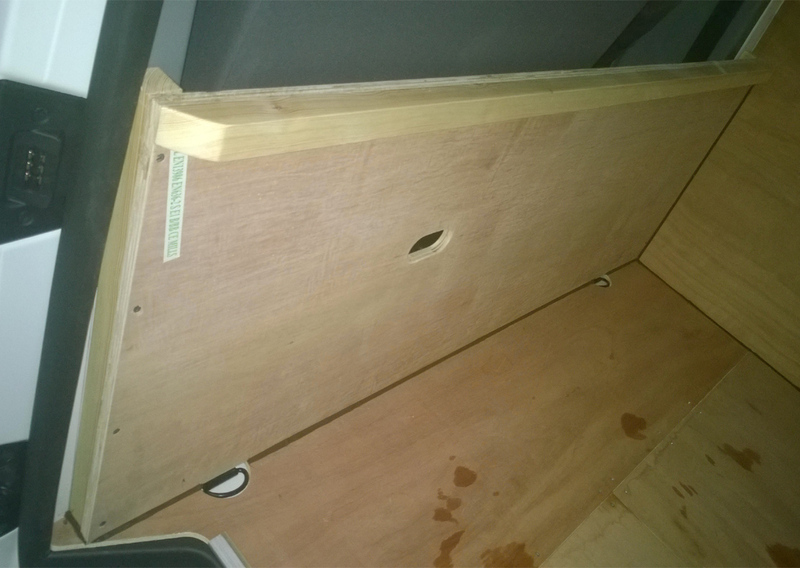 False floor / Racking and pull out draws. 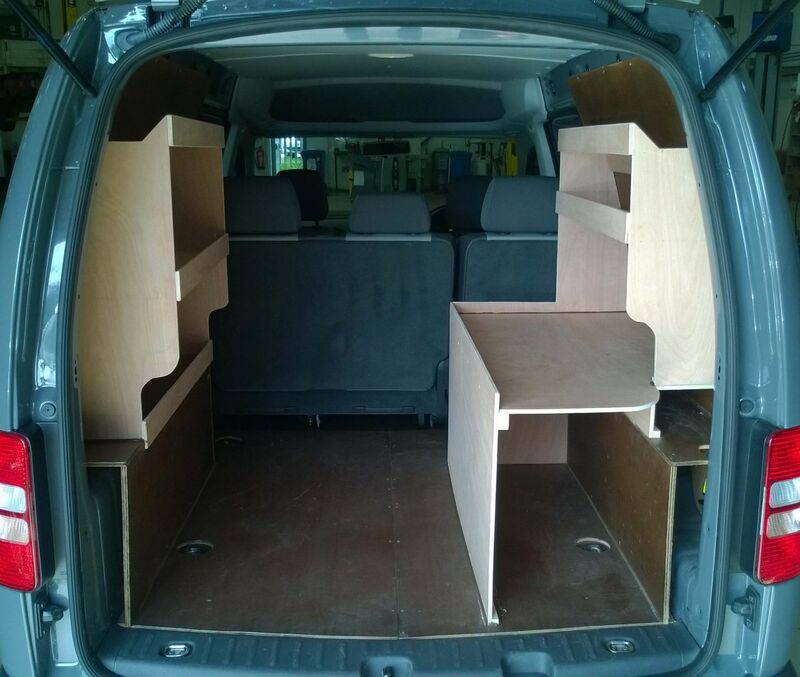 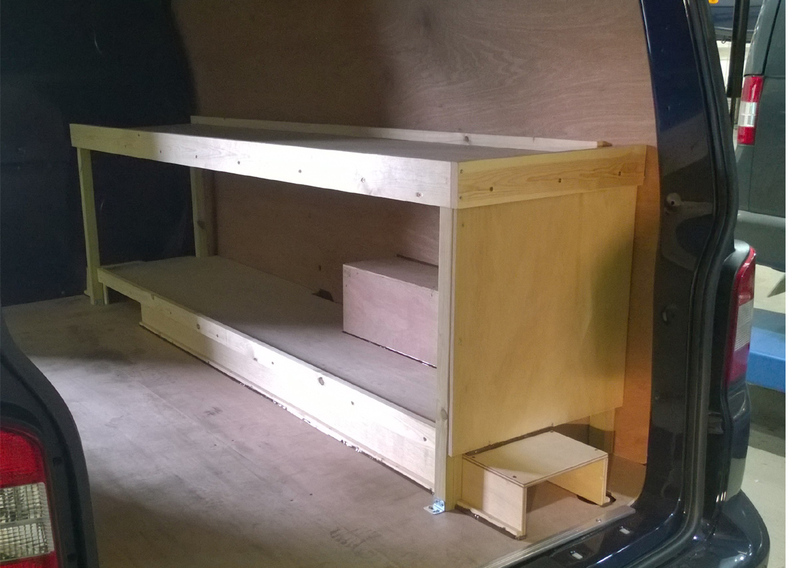 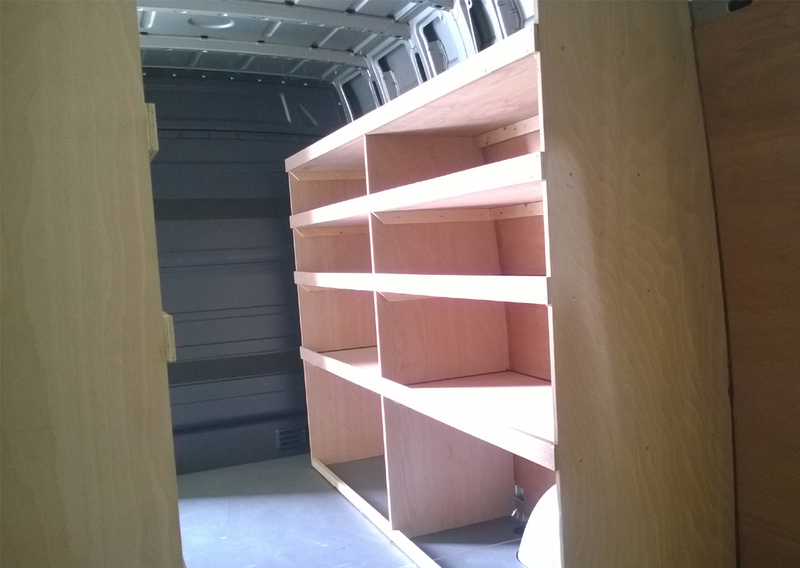 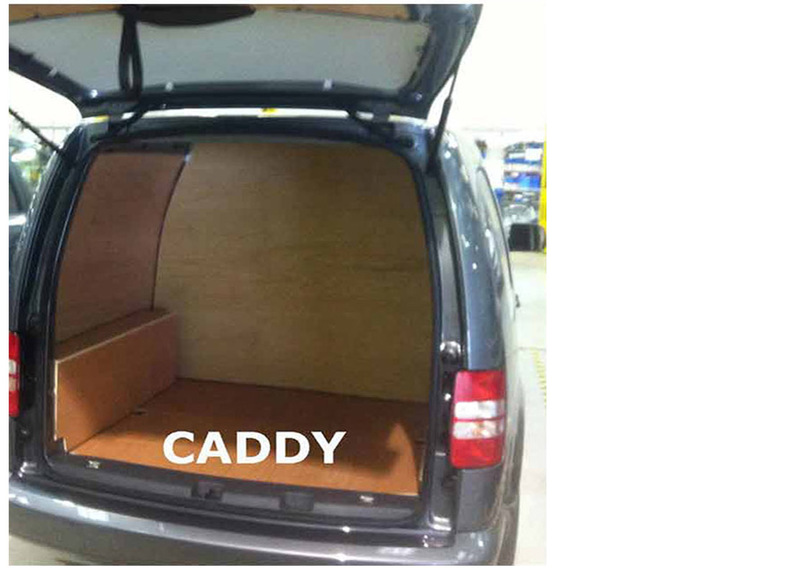 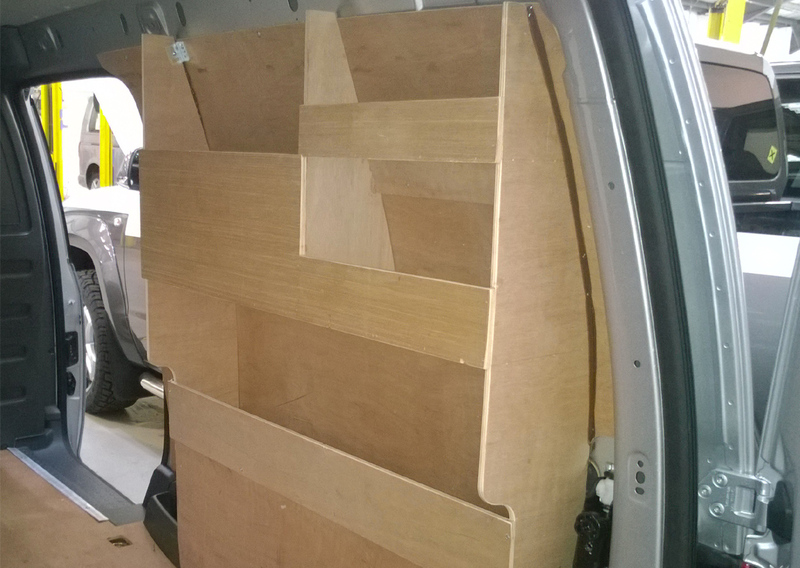 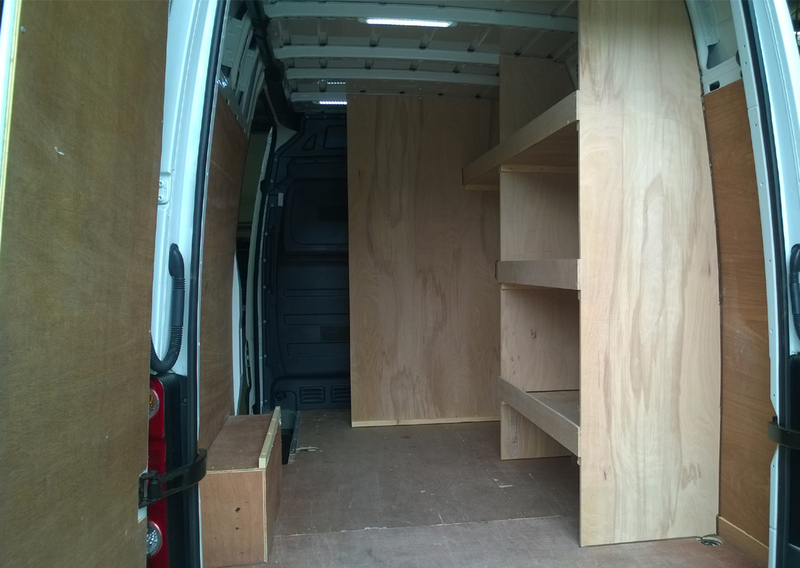 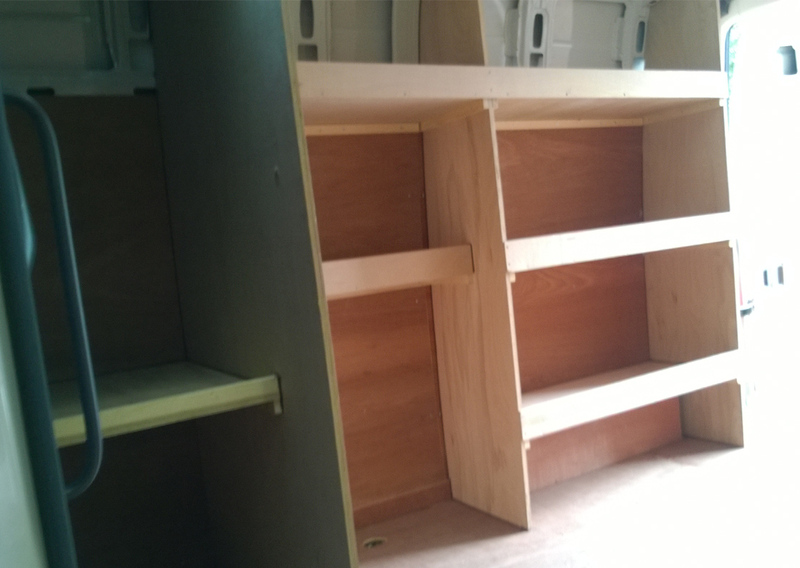 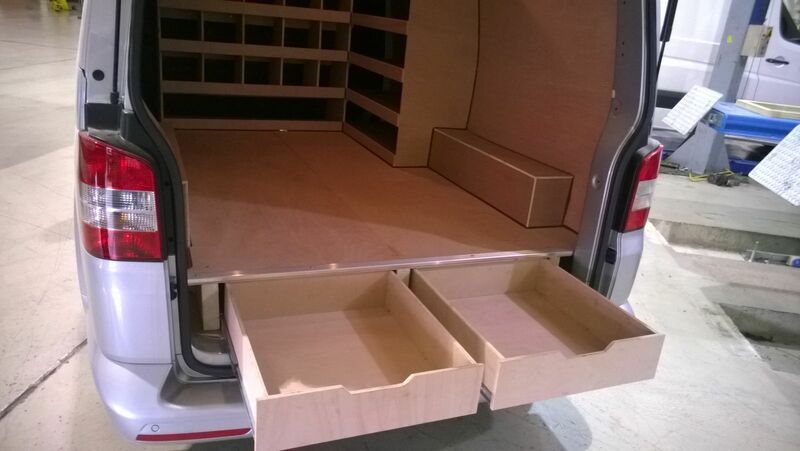 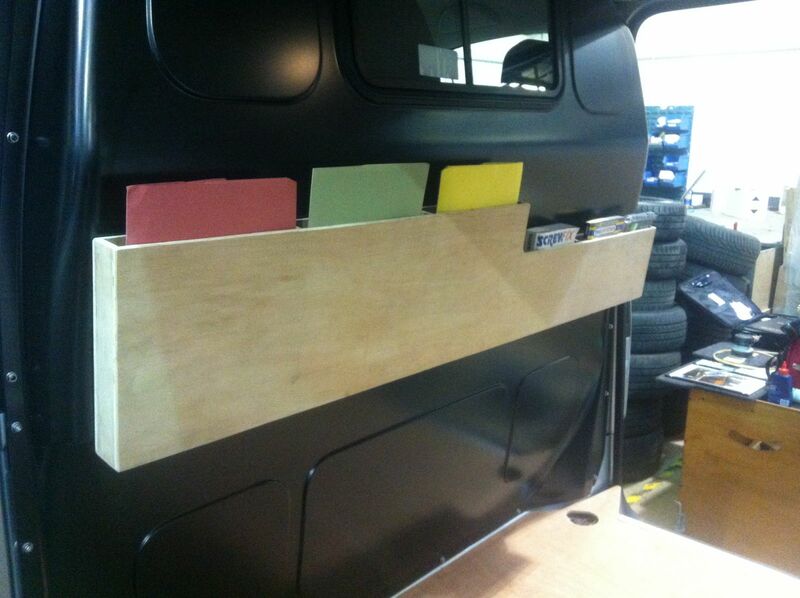 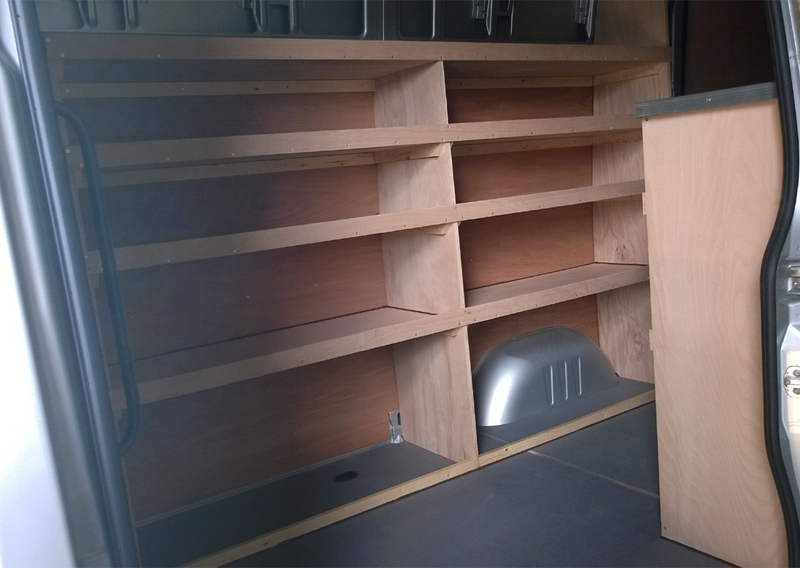 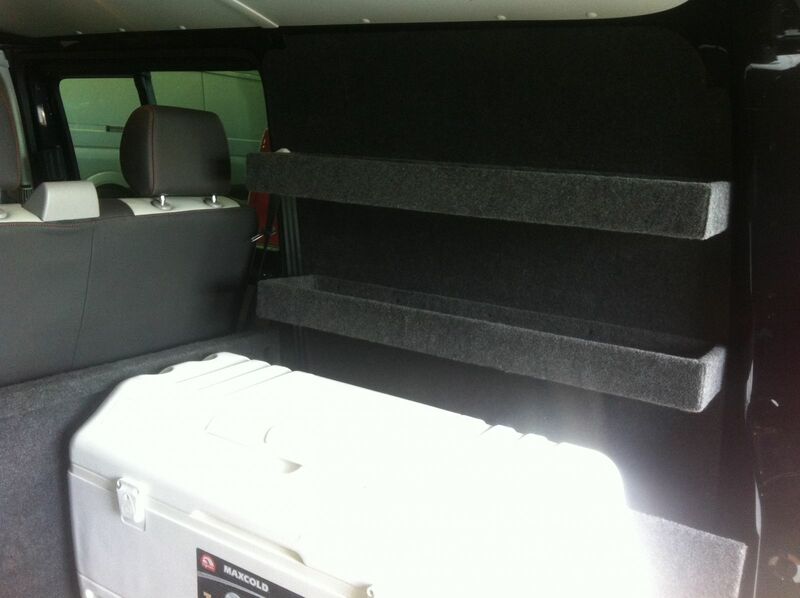 Caddy van racking can be built on top of the wheel boxes and to your spec. 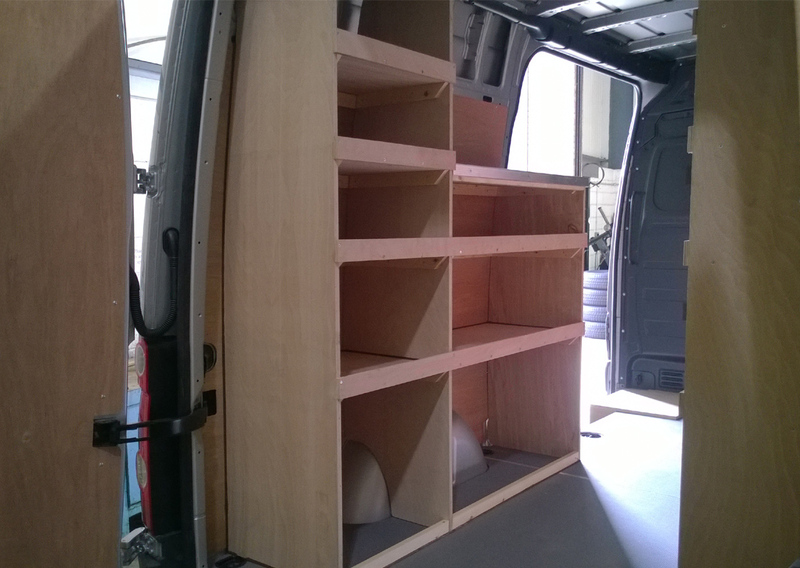 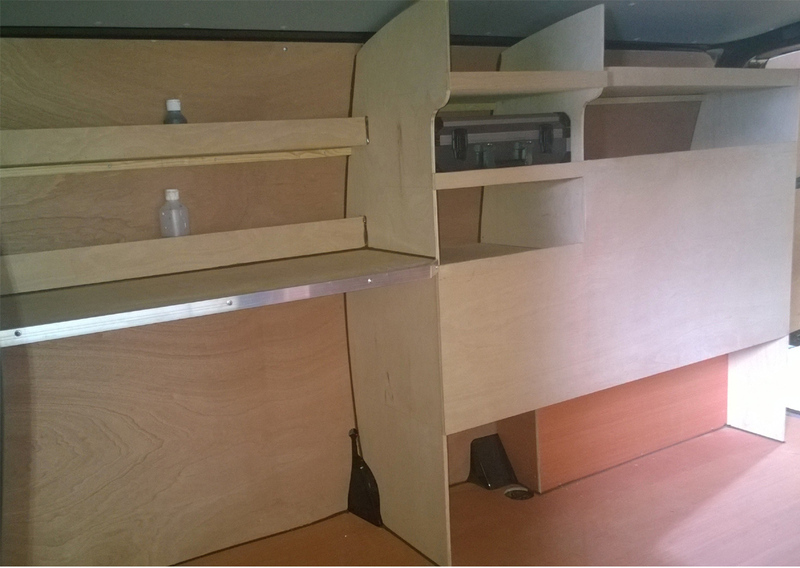 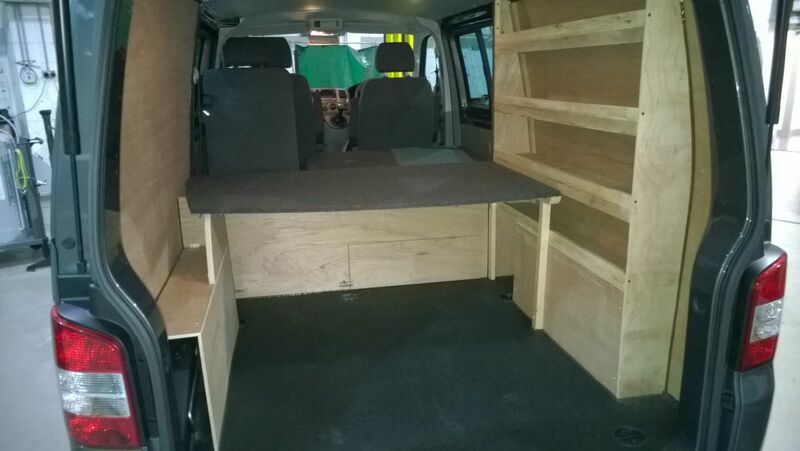 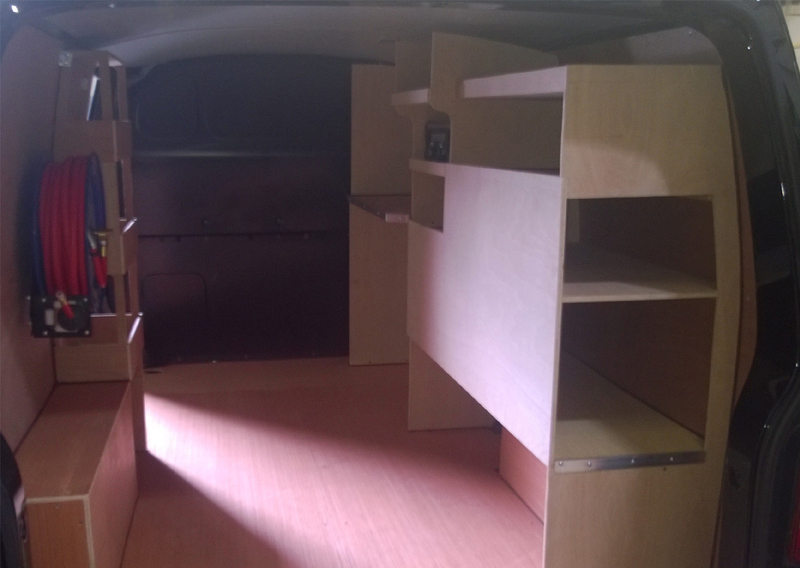 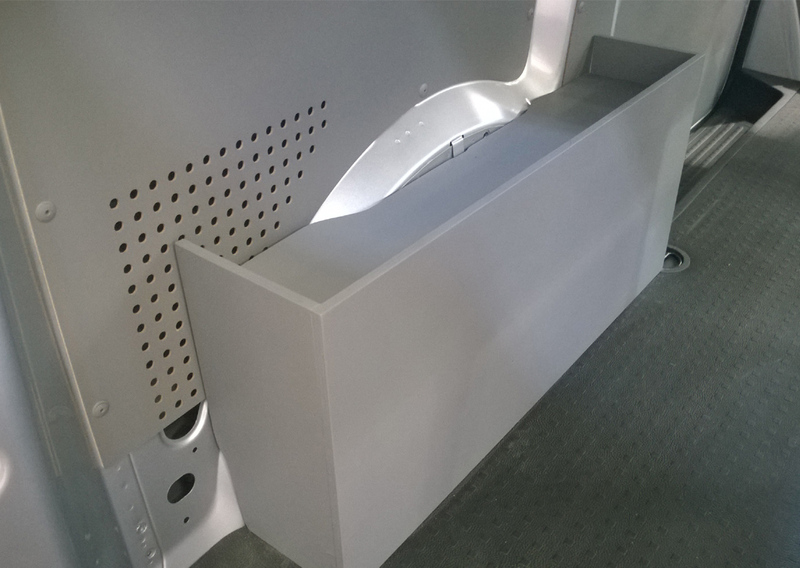 Photo is of a bespoke build for a cleaning contractor based on a used Maxi Kombi. 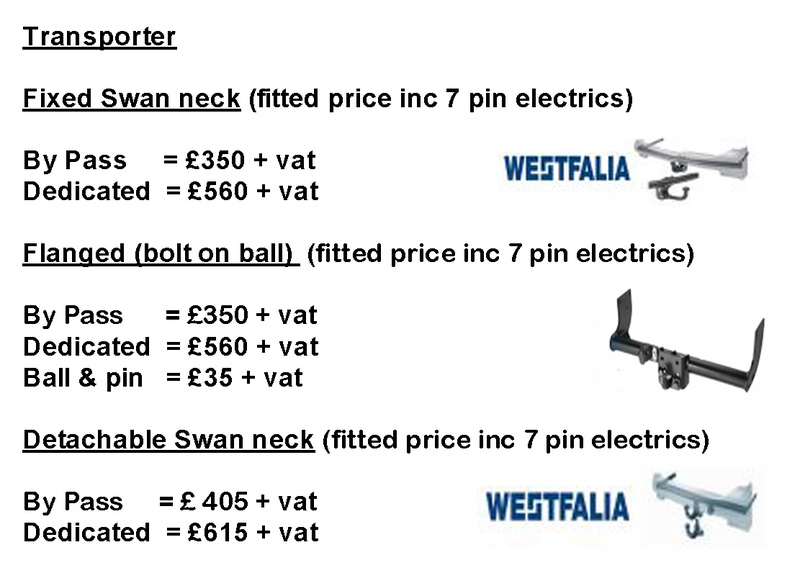 Prices POA.